Apple Watch: Build it & They Will Come… Or Will They? I still remember the very first time I saw this thing called the Internet. It was July 1997 and I got an after-hours glimpse at the German multinational company where I worked. To the music of a vacuum cleaner wielded by cleaning staff, I clicked on the new-fangled Netscape Browser, typed a request into something called altavista.com and saw my first website: Mercedes Benz. My dream was to buy a Mercedes Benz E220D someday—and I wanted to see the car come alive on the screen. I wasn’t impressed: it looked like an electronic brochure, not different than a newspaper or a magazine. Fast-forward a year and a half to June 1999: I had moved the United States and was focused on working late and learning fast. Those were the years of the .com boom and the .com bust. Everyone was trying to figure out how to monetize the Internet. Then, Internet access was easy to get, email was entrenched, and individuals were starting to buy online and even had their own Web pages. I ordered my first cool watch, a Casio that displayed the time on glass over an analog set of hands. It cost $80. I sent the payment—and started waiting anxiously for the delivery. The promised day came and went, and then another and another. Finally, the UPS truck stopped at my door. The watch was cool—and I wore it and bragged that I had bought it on the Internet. Having a watch not available at nearby stores overcame the stress of delayed delivery. I was a happy customer. A few weeks later, I had to travel to Columbus, OH, to support a go-live for a client that supported a third party Order Fulfillment Operation that shipped product on behalf of somebody else. When I visited them, I was able to see exactly what happened behind the scenes for online orders. Back then, catalog companies were the first to adopt, and even create, e-commerce businesses. The catalog model was simple: a catalog was sent to a prospective mailing list, and people read the catalog and made a call to place an order. The move to the Internet was easy to justify, because it eliminated printing and mailing catalog. Better still, SKUs could be made instantly available on the Internet, which allowed products to be ordered immediately. Eventually, every single retailer jumped to e-commerce as they realized that twice as many customers were ordering online compared to traditional retail brick and mortar stores. A new order profile. To accommodate the new profile, processes in the distribution center (DC) needed to evolve. Before the inventory flow moved from a manufacturer to a wholesale distributor’s DC and then to a retail store. Consumers went to the store and took products from the shelves. Backend processes were designed to handle boxes with a bunch of units. In the e-commerce world, they had to be changed to pick one or two unit orders in an optimal fashion using either mechanized or non mechanized picking process and then consolidate those orders. The prevalence of orders shipped straight to customers. Originally, there were bunch of product SKUs that were shipped in a less than truckload (LTL) shipment to the retail store. Now, these one or two unit orders needed to be shipped to the customer homes directly in smaller boxes using UPS, FedEx, or USPS parcel services based on the service levels (next day air, 2nd day delivery, or ground ship) as requested by the customer. To achieve this, retailers need a robust transportation execution system that can run a rating process across different carriers, ship via’s and service levels and spit out the ship via with the best rate for every parcel shipment. The need to return products. 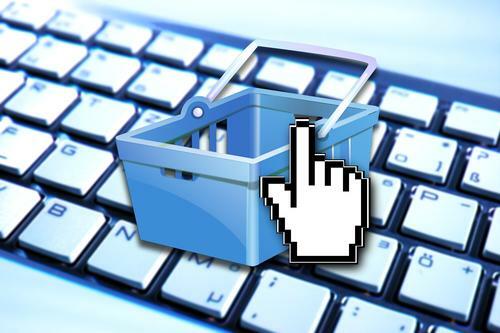 Customers don’t like every purchase, resulting in a boatload of returns, about 20 to 40% in the online retail world. So somewhere the returns need to be received, a function often outsourced to third party consolidators. Next, returned merchandise has to be put back in stock or sold through an outlet store. The need for sophisticated inventory management. With the combination of in-store and online stores, retailers have to manage the prioritization of inventory, deciding what needs to be held to fulfill online sales and what should be sent to store. Payment adds to the complexity. Online consumers order and pay for merchandize, but haven’t paid yet, but rather only authorized a charge their credit card. Legally, retailers/shippers are not allowed to charge the credit card until the product leaves their facility, so the credit cards are charged at the end of the day, on the day the product shipped as part of the invoicing process. Obviously, as a retailer/shipper, I want to ship for the order that I have already charged and hence my inventory should be allocated against that order first and the store bound order next. The need to develop and support value added services. Value added services, such as monogramming, engraving, special gift-wrapping, etc. are added on top of all the other challenges. Let me share one story from a vice president of distribution systems supporting packing processes in their distribution. Actress Ann Hathaway once placed an order to this retailer, asking for special monogrammed t-shirts for the guests invited for an upcoming party. She wanted to wow her guests with an assembled gift, understandably. At the distribution center, though, the pain point came in training operators to pack in compliance with the complicated packing requirements, paying meticulous attention to without room for error. These are the headaches of traditional e-commerce. Let us know how your organization navigates these hurdles. Tomorrow, we’ll talk about how the evolution of omni channel expectations has and will up the challenges of retail distribution centers even more.